Lewis Rice attorneys David W. Sweeney and R. John Klevorn, III represented Gross Mechanical in its acquisition of Pipe Systems Mechanical and Duct Systems ("Pipe/Duct"). The acquisitions makes Pipe/Duct more efficient in its bread and butter projects, including commercial, government, healthcare, and hospitality projects, and it allows the company to pursue larger mechanical jobs that they previously would not have taken on. For Gross Mechanical, the acquisition adds to its bundle of services it offers. To read more about the acquisition, click under "Resources" below. 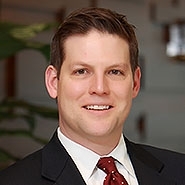 David focuses on lobbying, governmental and finance matters; municipal and public law; government affairs; zoning, land use, tax increment financing, community improvement districts, and other development incentives. His experience ranges from drafting and overseeing implementation of legislation regarding tax increment financing, community improvement districts, special business districts, transportation development districts, and property tax abatements to representation of governmental entities in a variety of real estate development and finance matters. 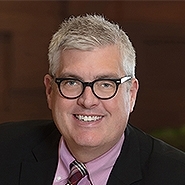 John advises clients in a wide range of corporate transactions including asset sales and acquisitions, stock sales and purchases, mergers, and investments in low-income housing and historic rehabilitation tax credit projects. His clients include tax credit investors and developers, alcohol and beer distributors, and various other commercial enterprises.